I am a big fan of introverting. While I'm quick to turn on my Type A'ness for professional purposes, I'm perfectly content to hunker down indoors on the weekends with a book. With a shift to the work-from-home life on the horizon, one of my goals is to focus on GOMO, getting out more often. I know I will NEED to get out into the world or lose my sanity. Where do I want to get to? I want to be bookish...but with people. Introverting can quickly become extroverting, especially if you're into author events. I'm especially fond of the Dallas Museum of Art's (DMA) Arts and Letters Live series. A couple of years ago I got to meet Neil Gaiman, and last year we made the trek for an evening with David Sedaris. It was so fancy and fun, and every event seems to have a really distinctive vibe depending on the venue and the type of author and crowd. This year I hope we can make it out to see Justin Cronin in June since City of Mirrors is fast approaching, and he's amazing and hilarious. To stay in that bookish vein, I can't leave out the most anticipated event on my social calendar, Book Expo America! I've always been a teensy bit intimidated when this event is held in NYC, so I'm jumping onboard for this year's conference in Chicago. 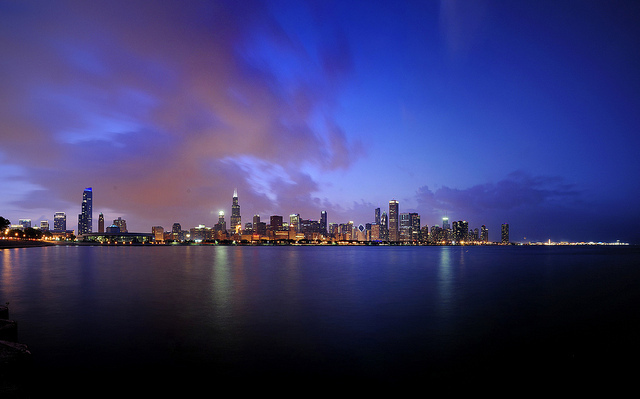 I can't wait to stretch my legs in the windy city, see the sights, and hug some necks. And maybe have a wealth of cocktails with my blogging friends. Finally, something a little closer to (everyone's) home. 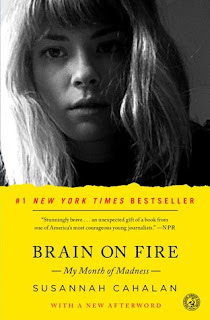 Brain on Fire, by Susannah Cahalan, was one of my favorite books a couple of years ago. It's coming to the big screen in 2016, and I'm excited, if a little skeptical about how it'll be handled on film. I maintain high hopes. It's set to star Chloe Grace Moretz, Richard Armitage, Tyler Perry, and Jenny Slate in the true story of a young journalist who finds herself thrown into a maelstrom of erratic behavior, seizures, paralysis, and a host of other psychiatric and physical symptoms. Thanks to Eventbrite for prompting this post! Do you realize, I NEVER thought about searching Eventbrite for bookish goings-on in my area? I am seriously laying down on the job. Here's a quick search of "books" and "Dallas." Lots of opportunities to GOMO and book mo'. If you're looking to create your own bookish event you can even plan it right on Eventbrite. What bookish events motivate you to get out more? However, I'm jealous you are going to see Justin Cronin. Oh I can relate to this. Especially when you are often home with a small kid or kids in my case and sometimes work from home too. It's funny how quickly happy introvert can tip right over into suddenly being lonely and wanting to go see people! Yep! That'll be me! Cabin feverrrrr! My local indie used to have Book Your Lunch events that I adored. She's cut back on them for more in-store events which I'm finding hard to attend. I'm happy to report there's at least one BYL coming up soon, though! I hope to go and drag Carl along with me. Oohhh, I love the sound of that. My library used to do a similar lunch time thing. It was kind of like a free flowing book group...talk about whatever you've read kind of thing. I'll have to find out if they still do it! Oh, I hope you get to see Justin Cronin! I'm anxiously awaiting the release of City of Mirrors and I'll bet it would be a lot of fun to hear him speak about this trilogy. My hubby loves to get out and about but I'm like you, I prefer to stay home when I don't "have" to go out. But I've been really trying to find things of all ilk to get out and do the past few months, especially if I can find free events. Of course, some of them time while I'm out, I'm also wishing I were home curled up with a good book! I sit outside and read. That's my GOMO. Congrats for starting to get your life on a more even keel! Hope you hear back soon on your new career choice-- good wishes your way. I don't have any bookish events on my horizon, though there will be the book event in L.A. coming up. I'm holding out for an indoor event to travel to, more like the recent Left Coast held in Arizona, which I missed. I can't believe BEA is in Chicago, and I didn't even know it. I will definitely be heading up a day or two as I live a mere 60 miles south. I hope to see you there! I haven't read Brain on Fire but I'm excited about it coming to the screen, wow!! Can't wait for BEA!!!! Luckily I know about and get to inadvertently attend a lot of bookish events at the bookstore, but I'm mostly just setting up and tearing down chairs haha. I swear one of these days I am going to make it to BEA. I'm so jelly of everyone who gets to go! I never thought of using Eventbrite to search bookish events either. Thanks a great tip - thank you! Bookish events that are most likely to get me off my couch? That's a great question. Lately, I'm into literary destinations. Since I'm in New England, we have a LOT of good stuff to experience. I also love events that bring authors but also games and discussions. My library did an awesome Jane Austen event like that. It had an author talk and discussion but also hilarious quiz games. I just listed to Allison that I need to read that book...now I really do if it's going to be a movie!!! I'm stealing GOMO! That has been my main "resolution" personally this year after reading about making better connections. I like to call it "socially selective". I won't do everything but really make more of an effort to be less introverted and spend quality time with good people. Which means I'm super excited for the neck hugs and cocktails and meeting YOU at BEA! I love, love, love Brain on Fire. It's one of the rare books that I can read again and again. Can't wait for the movie myself.